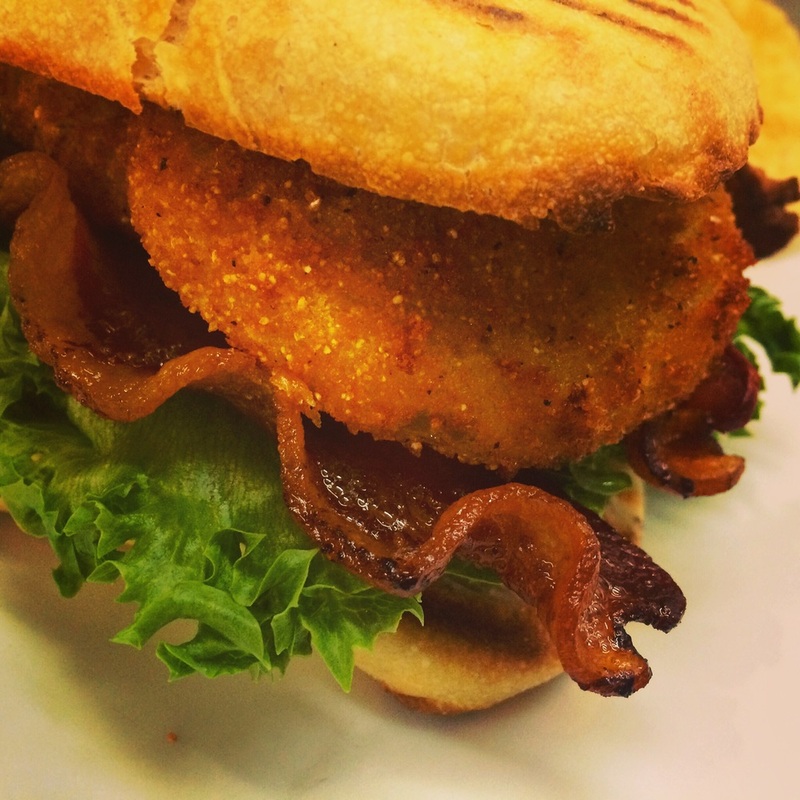 Our newest Panini is a Southern play on the classic BLT: Crispy Bacon with Lettuce, our cornbread-encrusted Fried Green Tomatoes, and our spicy Bayou Remoulade all on a toasted ciabatta bun. The day that it hit the menu, it became a hit! Folks are loving this sandwich, and we think you will, too! Don't know where we are? The Square Restaurant is located in Downtown Moultrie, Georgia at 25 1st Street SE, 31768. You can reach us by calling 229.985.2525, or emailing info@thesquaremoultrie.com. We look forward to seeing you soon!